Our mission is to upgrade the rideshare experience. We built a rare win-win business: drivers earn money by distributing samples and retail items to their riders, riders enjoy instant convenience, rideshare companies improve driver and rider retention, and brands gain a new distribution channel. Cargo and Uber Unveil Exclusive Global Partnership. with millions of products every day. 2+ billion hours in-car in 2017. As the AV era dawns and vehicles become “mobile space on wheels,” the opportunity to provide the same content and commerce that already exists in the airline industry will need to be created for the rideshare industry. We aim to be that provider but on a much larger scale. Passengers using Uber or Lyft are now able to buy drinks, snacks and even phone chargers while they are on their way from A to B. As millions of ride-share drivers are chauffeuring people around, a new startup called Cargo is paving the way in the emerging passenger economy by offering products and services in-car. 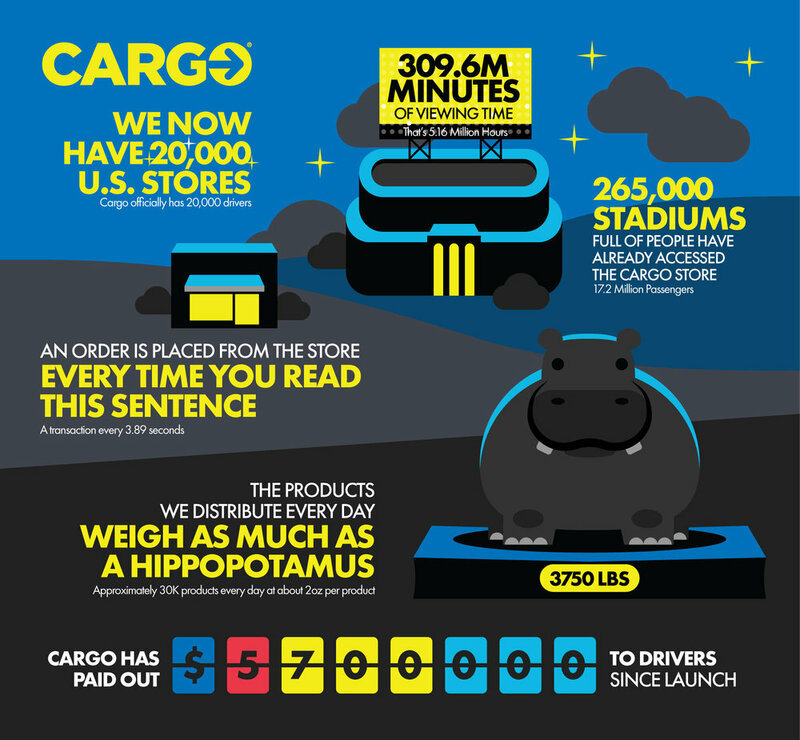 Cargo, launched in June, works with drivers to integrate a mobile storefront in each vehicle to provide passengers with convenience products while in transit. Cargo CEO Jeff Cripe on how the company is turning ride share vehicles into vending machines on the go.